Despite an upsetting loss to A&M over the weekend, I am so proud of our Arkansas Razorbacks for nearly pulling out a victory against a really great opponent. No one expected us to do that well and it was a sight to see. Fun game to watch, indeed! Okay, so tailgating. For any football fan, the proper tailgate party almost as important as the game itself. My least favorite part of tailgating, though? Lugging a bunch of stuff to the tailgating spot. With lawn chairs, 15 bags of random food items, plus (now) baby stuff, it's enough to make me cringe. 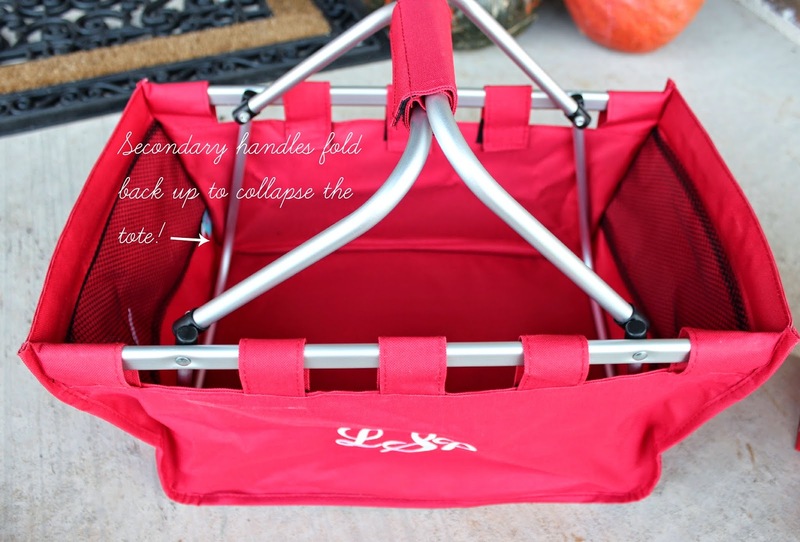 My friend Courtney L. from CoraLee Boutique emailed me a couple of weeks ago to see if I'd be willing to try out one of her collapsible Market Totes for our next tailgate or potluck gathering. Best part? 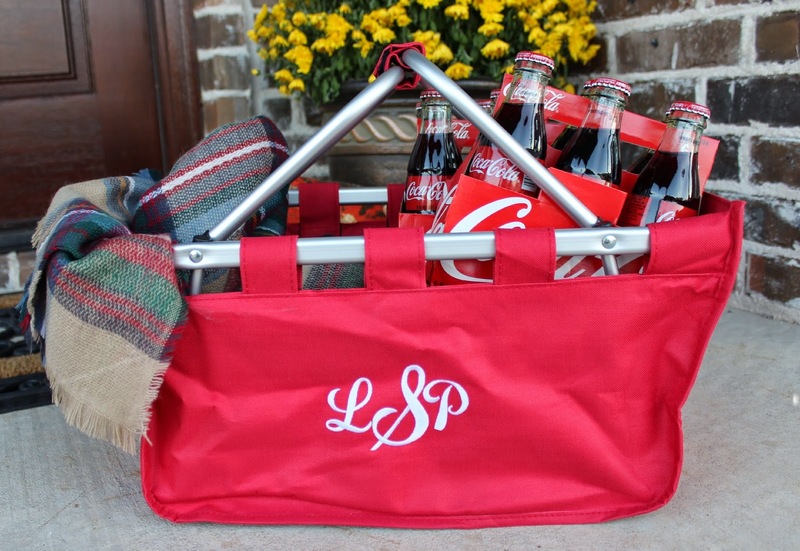 They can be personalized with your initials or name...holla! They hold a lot of stuff, you guys. I mean, a lot. 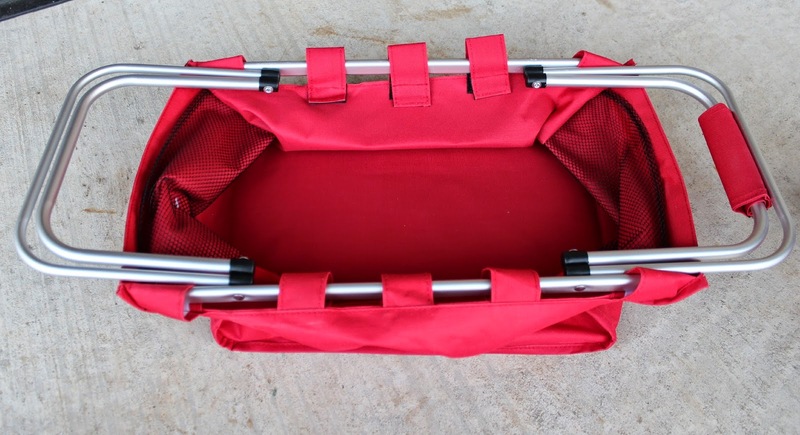 I was even able to get my 9 x 13 casserole dish down into the bottom of it pretty easily. I gotta say, for any of you out there who enjoy tailgate parties or just potluck dinners in general, I think it's a great thing to have on hand. The tote collapses completely and stores flat. When you're ready to use it, simply pop it into place, put up the handles and fill it to your heart's content. And since we're in the thick of fall wedding season, I plan on getting a couple of these for engagement/wedding gifts for some of our couple friends. A quick pic before work this morning. More coming on this shift dress I'm wearing on Thursday. 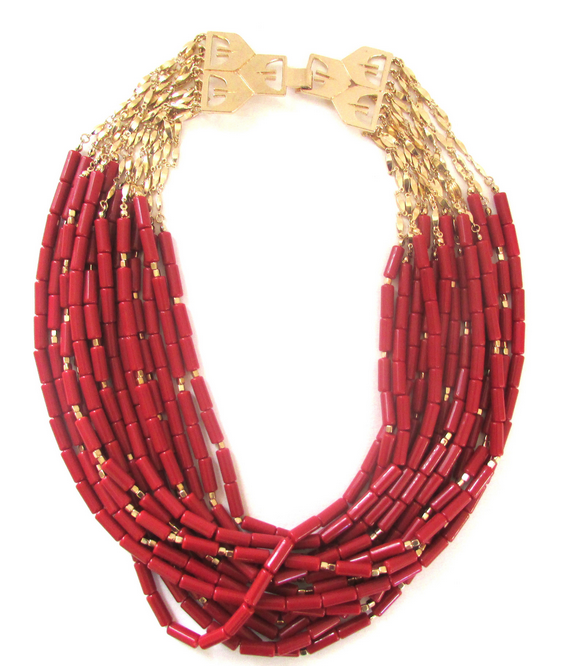 Courtney also sent along this Scarlett Strand Necklace (only $17!) since she knew I had a thing for Razorback red ; ) Naturally, I loved it. 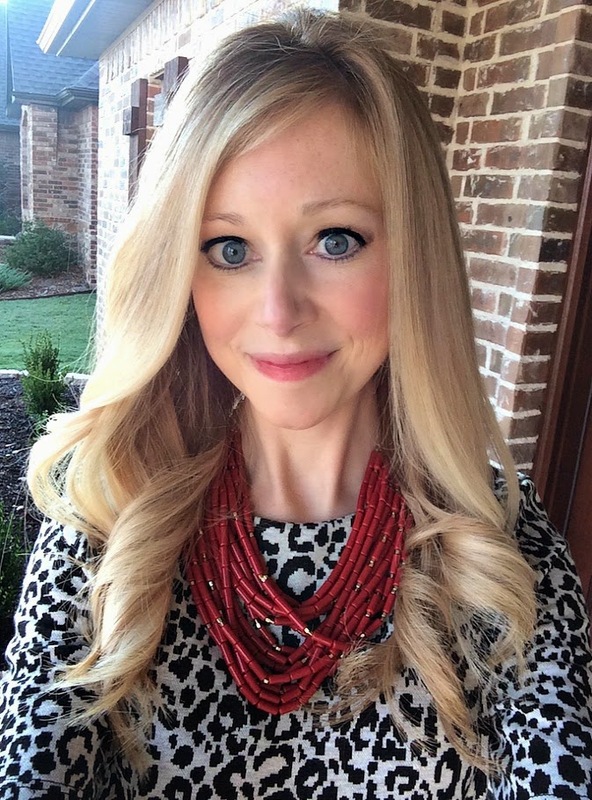 Courtney has tons of other adorable necklaces, bracelets, rings and more available on her boutique's website. Now, I cannot talk tailgating without talking about food, too. I wanted to pass along a couple of dip recipes, which have made it into my circulation twice already this football season. Preheat your oven to 350 degrees. Mix your cream cheese, mayo, peppers and cajun seasoning in a bowl until nice and smooth. Add in your spinach, artichoke hearts and parmesan cheese. Dump it all into a baking dish. Bake in oven for 35-45 minutes, or until it's nice and bubbly. Enjoy with pita chips (our personal favorite, with this recipe), crackers or bagel chips. Heck, enjoy it with wood chips...it'd probably still be tasty. Gameday Market Totes, cute necklaces and dip. As my girl Martha Stewart would say, "It's a good thing." Such a cute basket! I pinned it for later (in VOLS orange and white chevron, of course)!! It would definitely get used a lot while camping and hauling food, etc. between campsites for potlucks and such! My husband is going to love you for this post lol. He was just saying he thought it would be fun to make a new dip for this week's game, so I will definitely have to try one of yours! Looks like you guys are all set for game day! What a neat tote! 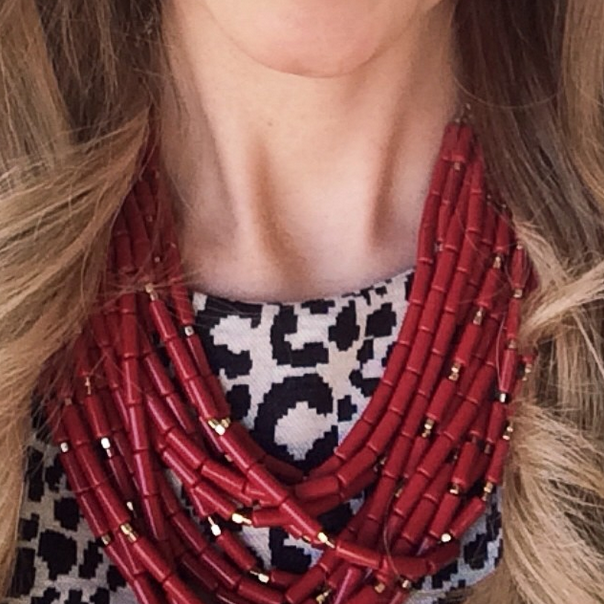 I love that adorable basket and that necklace is the perfect touch to your outfit!